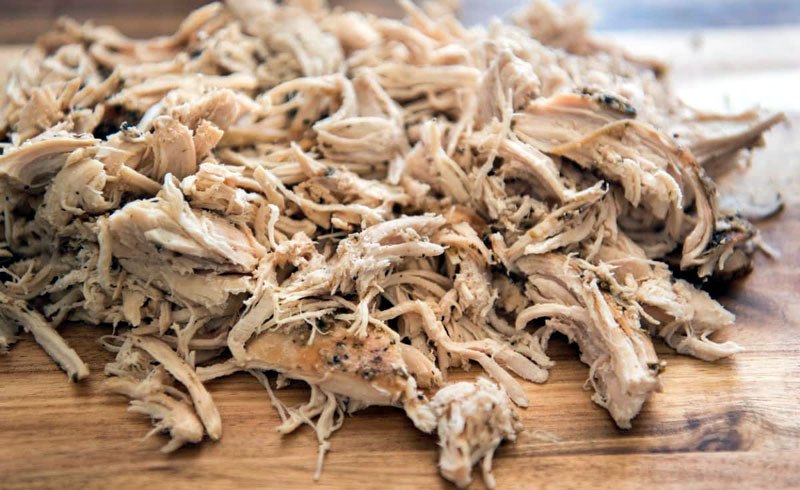 Shredded chicken is a versatile dish that can be thrown into a variety of dishes. Learn how to shred it faster with this genius trick! It's hard to think of a food that's more versatile than shredded chicken breast. You can enjoy it in anything from soups to salads to sandwiches. It's an excellent source of lean protein (not to mention that it's totally delicious). However, cooking and then manually shredding the chicken can take time in the kitchen that most of us just don't have! If you're like us, you're probably used to shredding chicken breast with a pair of forks or your bare hands. This is one of the simplest methods, but, depending on how much chicken you plan on shredding, it can sometimes feel slower than molasses! The first thing you want to do is cook your chicken breasts. Place them in a saucepan filled with water or broth. Boil the chicken breasts for around 15-20 minutes until cooked. If you already have some cooked chicken on hand, even better! This trick works best with a hand mixer, but a stand mixer with a paddle attachment does the job just as well. The most important thing is to mix on the lowest speed — otherwise you end up with a mushy mess! All you have to do is pulse slowly as you mix the chicken. Continue until you reach desired shredded-ness! 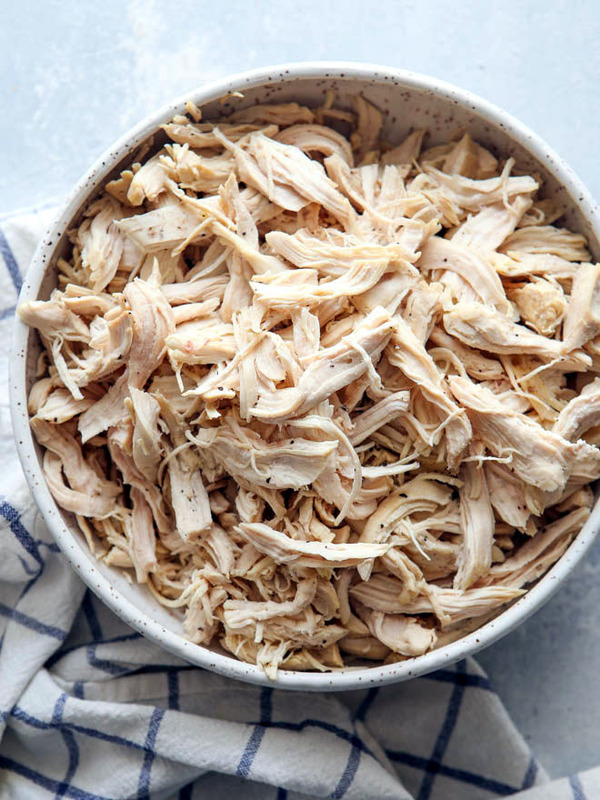 We love shredded chicken for its incredible versatility. You can make it into chicken salad, throw it into chicken noodle soup, or serve it in homemade chicken tacos or in pulled chicken sandwiches (a healthier take on the classic pulled pork recipe). The possibilities are endless!